Though her path to the throne was long and paved with treachery, Jane Seymour would win the heart of her king—and heal her own. Jane Seymour of Wiltshire is not meant to go to Court. Not a child like her, with her lack of beauty and no title. But family connections are enough to have her named to the bridal retinue of Mary Tudor. At the French Court, the plain and docile Jane meets the girl who will grow into her rival in years to come: the already charismatic and conniving Anne Boleyn. Soon back home in the English countryside, Jane wants nothing more than peace and quiet—and the devotion of her childhood protector, William Dormer. But his family vows to keep them apart, and Jane is called back to Court to serve Katherine of Aragon, who is fighting for her life as Queen in the face of Anne Boleyn’s open seduction of King Henry VIII. 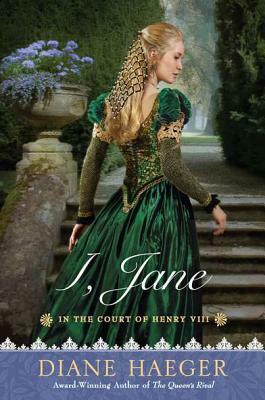 In those turbulent years, Jane will learn the value of loyalty and honesty, while holding fast to her convictions. And it is her unblemished soul that will slowly rise above the chaos—and turn a king’s head. Diane Haeger is the author of several novels of historical and women's fiction, including four novels set in the court of King Henry VIII: I, Jane; The Queen's Rival; The Queen's Mistake; and The Secret Bride. She has a degree in English literature and an advanced degree in clinical psychology, which she credits with helping her bring to life complicated characters and their relationships. She lives with her husband and children.